National Treasury Building, Washington DC, USA. Credit: Getty Images/Zurich. There has been much talk about the impact of recent tax reforms in the US on the insurance sector and on global insurance programmes, with concerns over the effect on costs and structuring of programmes. There is little doubt that the reforms may necessitate some restructuring of programmes and some additional costs, but the impact for most insurers is certainly manageable. The Tax Cuts and Job Act (the Act) became law on 1 January 2018 and represents a major overhaul of US federal income tax law. Among other changes, the new US tax law lowers the corporate income tax rate from 35% to 21%. The intention of the Act is to make the US more competitive. To finance the lower tax, a significant component of US tax reform includes a new tax impacting international companies, the Base Erosion Anti-abuse Tax (BEAT). The tax on such payments, calculated at 5% or 6% in 2018 (increasing to 10% or 11% in 2019-2025, and 12.5% or 13.5% thereafter), exceeds the regular corporate income tax calculated at the 21% rate. Clearly, the measure is not simply aimed at the insurance sector but at the overall economy. But the impact, particularly on the insurance market, is fairly meaningful. BEAT is based on cross-border payments even when they are related to losses in the volatile insurance business. It thereby limits how US insurers can design strategies to drive global diversification and meet the insurance and risk management needs of insured companies with international exposures. Where you have cross-border insurance, if a US insurer cedes to a foreign entity in the same group, then BEAT may apply to the US insurer on the premium ceded. If a foreign insurer reinsures business to a US reinsurer within the group, then BEAT may apply on claims and commission payments made by the US-affiliated reinsurer. As BEAT is not a profits tax, the cross-border payment amounts trigger the tax without the benefit of offsets. 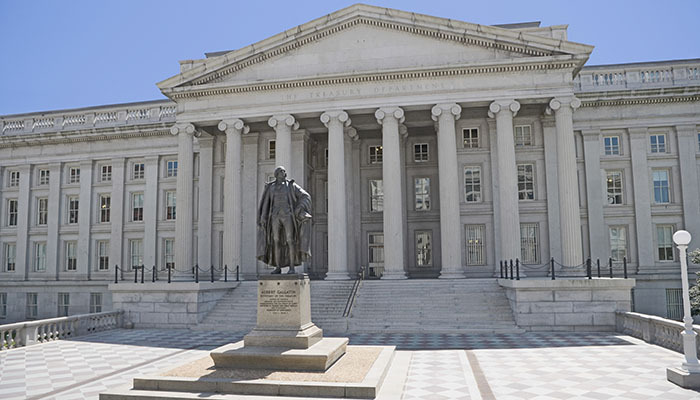 Presently, we await proposed tax regulations from the US Treasury to implement BEAT, which may soften some of these impacts for insurers, but otherwise are likely to reflect the statutory principles. This leads to the paradoxical effect that a US reinsurer paying a cross-border claim, ultimately to a third-party claimant, may pay BEAT on top of the claim. Given that BEAT applies only when it is greater than the regular income tax, corporations with big, profitable US operations are less likely to pay BEAT than those with small or unprofitable US operations. As with any other change in the cost of serving customers, taxes that change the cost of transacting business will be borne ultimately by the customers. It is likely that the effect will be greater on insurers with smaller US operations. There will be an impact from BEAT on global programmes because the focus is on cross-border payments. The degree of impact will depend on how an international programme is set up. It may be organised in such a way that there is a controlled master programme that reinsures all the local policies in countries to the country of the master programme to facilitate the interaction between the master and the external parties. Then, if the master is in the US, payments for claims and commissions could trigger BEAT, while if the master is in another country, then the trigger is premiums that are ceded. For a global insurer like Zurich, there should not be a major impact from BEAT. We believe we can manage this, and will adjust the basic structures and our offerings accordingly in order to be able to continue to offer international programmes that function more or less as today. Helene Westerlind, global head of international programs, Zurich Commercial Insurance, confirms this and highlights the fact that, “we [Zurich] are fully prepared for BEAT, we have already identified solutions, and will work with our customers on these”. There is a lot of talk and concern about BEAT, but our message is: let’s not get too worried about it. Of course, BEAT will necessitate changes to structures. Companies cannot simply carry on and think that they will be able to operate as if it never happened. But there are solutions and, overall, it should not have a dramatic impact.